“We’d like to do this as a tribute to the Velvet Underground” says Jonathan Richman, anticipating this playlist’s own intention. 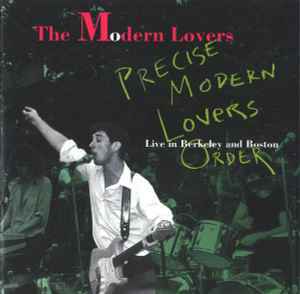 It’s a Modern Lovers live recording from 1973, when the band played the Long Branch Saloon in Berkeley, California, and Velvet Underground were still far from being the cult heroes virtually every cool living soul now professes to love. 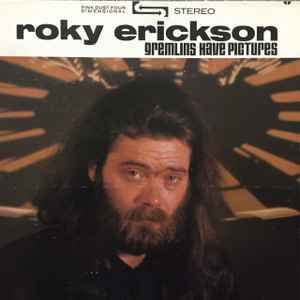 In fact, Richman notes that ‘Foggy Notion’ was still unreleased at the time – “You’ve never heard this one before,” he warns the audience. 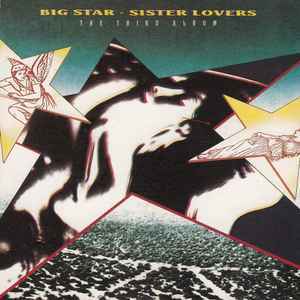 As for the cover, first released in ’92 on the Live At The Long Branch album, it’s proto-punk at its best. “The Modern Lovers of the early 70s were never what one would call a smooth well-oiled machine, but for much of this show we hovered truly close to the edge of disaster”, bassist Ernie Brooks notes in the liner notes. Sounds like the very best kind of show. 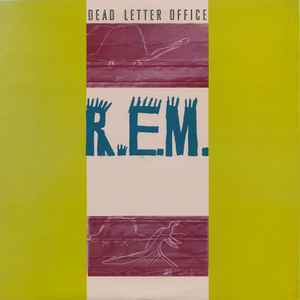 Love professed from day one: R.E.M.’s rework of ‘There She Goes Again’ is featured on Dead Letter Office, the collection of rarities and B-sides the band released in 1987, but first appeared on the 1983 Radio Free Europe single (re-recorded two years after the I.R.S. original). Buck picks up his acoustic, and the band is ready to give their foggy decadent heroes a little sunshine. And so this The Velvet Underground & Nico classic – jangly at heart since the ’60s – gets the freewheeling power pop treatment, with its dark lyrical connotation still creeping underneath. Oh, East is East, and West is West… and the twain Factories shall eventually meet! Recorded at The Moonlight Club in London, in April of 1980, this is Joy Division’s take on a Velvet Underground favourite – Reed’s ode to decadence. They’re at their most muscular and cathartic. ”You should hear our version of ‘Louie, Louie’!”, Ian Curtis teases at the end. As Bernard Sumner recalls in his autobiography, “We each had different enough musical tastes to bring a range of ideas and influences into the studio.” But there was a handful of artists they all shared a liking for; high on that list – you guessed it – the Velvets and Lou Reed. David Bowie liked to describe himself as the first man who ever covered the Velvets. His manager in the second half of the ’60s, Kenneth Pitt, had also been a publicist and a PR, and knew Andy Warhol and the Factory. One day in 1967 he came back from New York with a coverless test pressing of The Velvet Underground & Nico – a gift from Warhol himself that he thought ideal for his new client. 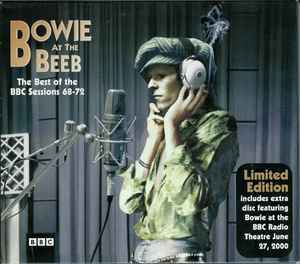 It was weird stuff, after all – “See what you think of this,” he told Bowie. “What I thought of this was that here was the best band in the world,” the former Davie Jones recalled decades later. “In December of that year, my band Buzz broke up, but not without my demanding we play ‘I’m Waiting For The Man’ as one of the encore songs at our last gig. Amusingly, not only was I to cover a Velvet’s song before anyone else in the world, I actually did it before the album came out. Now that’s the essence of mod.” That wouldn’t be his sole Velvets cover. There’s the unreleased demo cut with The Riot Squad ‘Waiting For My Man’ cut in 1967 and a live rendition of ‘White Light/ White Heat’ can be found on the ’82 soundtrack to Ziggy Stardust And The Spiders From Mars, while this version dates further back: it was recorded in May ’72 at Maida Vale Studio 4, London, with John Peel. 1981, LA. Backstage at The Whisky-A-Go-Go, Roky Erickson is about to go on stage. He’s still in the dressing room when he comes up with an idea: “We’re gonna do ‘Heroin’ tonight, okay?” His bandmates are somewhat startled at the request, but he doesn’t worry – he just tells them to play it in G. And so one of Lou Reed’s most iconic compositions finds an unexpected fit, later included in Erickson’s ’86 collection of oddities Gremlins Have Pictures. ’Heroin’ masterfully summarises all the problems some of us lovers of LSD rock have with The Velvet Underground (well, I often have them, at least). But here’s one of our most beloved (anti)heroes interceding for a definite truce. When asked about his band’s influences in a recent interview, Thin White Rope frontman Guy Kyser listed a few individual preferences and then added: “Of course, we had that Velvet Underground trying to sneak in there.” Yes, the Velvets are the one influence no self-respecting cool band – from the mid-80s onwards – will forget to mention when the unavoidable question arrives. 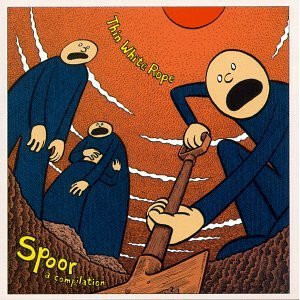 This recording of ‘Here She Comes Now’ – giddy jangle on the edge of explosion – was included in the 1995 compilation Spoor. Take a look at the inner sleeve of The Runaways’ debut LP and you’ll find resolute words: “This album is for the young of age and the young at heart.” Side One closes with a rousing cover of ‘Rock And Roll’, a Loaded gem that Lou Reed had written with his own young age in mind. As he later explained, “If I hadn’t heard rock ’n’ roll on the radio, I would have had no idea there was life on this planet. Which would have been devastating – to think that everything, everywhere was like it was where I come from. That would have been profoundly discouraging. Movies didn’t do it for me. TV didn’t do it for me. It was the radio that did it.” For many generations of artists – or even simply passionate air guitarists – to come, it would be the radio again, or a record store’s remote nook: The Runaways, and Lou, and the Velvets. Yes, the Factory and the provocative glamour of pop. But what really makes The Velvet Underground a timeless charmer is its dark cool: autumnal recitations, bohemian detachment, late night mavericks electrifying the sound of sleazy New York corners. Dark will never be out of fashion, and the ’80s found their own dark champions. 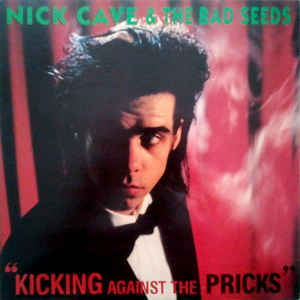 It’s no surprise, then, that a Nick Cave & The Bad Seeds collection of covers – third LP Kicking Against The Pricks, released in ’86 – would pay homage to the Velvets. They chose ‘All Tomorrow’s Parties’, the most hypnotic track fromThe Velvet Underground & Nico. In their hands, it has become a martial chant, a sonic ritual made possible by a higher collective power. Like R.E.M., Belle & Sebastian, too, have professed their love since day one. The outcast heroine of ‘Expectations’ surely has a few things in common with Stuart Murdoch: “Your obsessions get you known throughout the school for being strange, making life-size models of The Velvet Underground in clay”, he sings on debut Tigermilk’s second track. 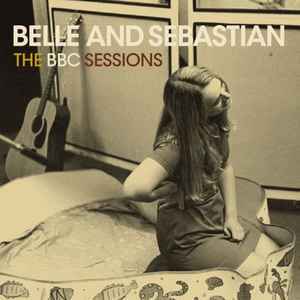 Some five years later, during the recording of a Belfast live show, Belle & Sebastian decide to pay homage to their lifelong heroes. As they know, homages work better when you’re having a blast – and that’s exactly what their rendition of ‘I’m Waiting For The Man’ is all about. They furiously strum, sounding more vigorous and ardent than ever before: inspiration turned possession in the name of rock and roll, and a lot of fun both on and off stage. 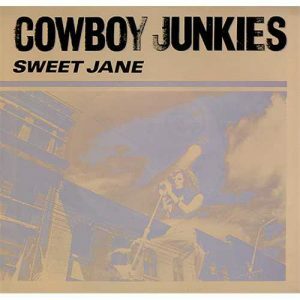 Not only did the Cowboy Junkies rework of ‘Sweet Jane’ get Lou Reed’s approval, but apparently it became Lou’s all-time favourite version of his own song. It is, after all, one of those rare, delicious cases of covers surpassing their eminent original. The song had a rather troubled story: re-recorded and changed through the years, it had its bridge – reason of strong disagreement for the Velvets – cut out of the studio version. It was during those recording sessions that Lou Reed had left the band. Years later, he invited the Cowboy Junkies to one of his shows – he performed ‘Sweet Jane’, but when he got to that infamous section of the song he had something to add: “This is for the Cowboy Junkies who put the bridge back in this song.” “It doesn’t get a whole lot better than that,” guitarist Michael Timmins later commented. Play by request, for a good cause. Yo La Tengo has supported the independent community radio channel WFMU with an interesting fundraising formula: every year they would visit the radio station and have listeners make a pledge and request a song. They then collected some of their best improvised covers on the brilliantly titled 2006 album Yo La Tengo Is Murdering The Classics. Could such a record lack a Velvet-by-request performance? Of course not. 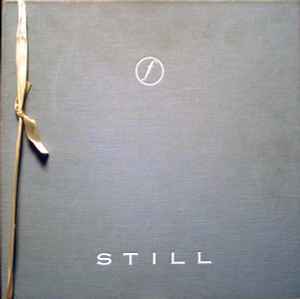 In 1999 they were asked to make a new addition to their considerable selection of covers (of which The Velvet Underground catalogue is a frequent source), and played ‘Oh! Sweet Nuthin’’. They ended up spontaneously trading the narcotic length of the original for a soothing familiar inkling – as if they were suggesting it’s all in our DNA by now. You just have to sing along. English singer-songwriter Kathryn Williams explored covers territory in 2004 with fourth album Relations, for which she picked some all-time favourites: Neil Young, Leonard Cohen and, you guessed it, Velvet Underground. Intimate, gentle folk homages: the kind of treatment that, you come to realise, Velvet Underground songs never get. Of course, ‘Candy Says’ ends up losing the complexity of its original intention – Lou Reed’s questioning of universal feelings through Candy, sister of Stephanie and Caroline. Even so, this cozy interpretation does work, exposing a melodic beauty that even fans tend to overlook. ‘Pale Blue Eyes’ and ‘Jesus’, a puzzling pairing for the ever cool Velvets. They close Side One of the band’s self-titled 1969 LP and leave the listeners wondering. A love ballad made of sweet vulnerability and…a hymn? Maybe there’s a caustic point to all this, you keep thinking. Or maybe not, Reverend Vito and wife Monique suggest. 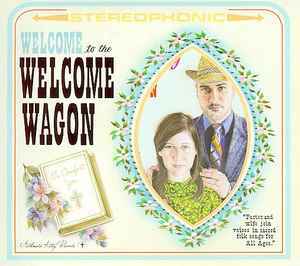 They lead The Welcome Wagon, whose debut LP Welcome To The Welcome Wagon offers a literal interpretation of Lou Reed’s ‘Jesus’. And so the song finds its second, unexpected life: modern gospel adapted for indie folk. 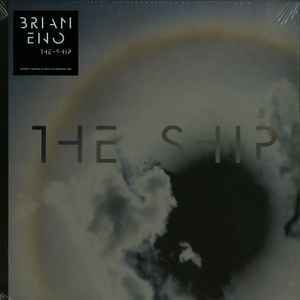 Produced by Sufjan Stevens – an unmistakable presence throughout. It could be the soundtrack to a revelatory scene in a Wes Anderson flick. Sometimes fan fantasies do come true. 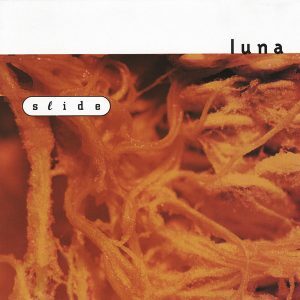 There’s no denying the crucial influence The Velvet Underground had on Luna – the band even included a dreamy rendition of ‘Ride Into The Sun’ on the Slide EP, released less than a year after debut LP Lunapark. But the liking turned out to be mutual. Dean Wareham’s group was immediately asked to open for the reunited Velvets in 1993, and after that Sterling Morrison appeared as special guest star on Luna’s acclaimed second album, Betwitched. 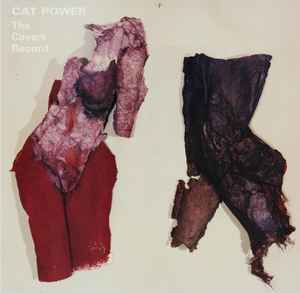 There’s plenty of cover albums out there, but they’re rarely as intensely bewitching as Cat Power’s 2000 release, simply titled The Covers Record. ‘I Found A Reason’, its centrepiece, has often been described as one the Velvets’ most accessible compositions. It’s a love song, it’s a pop love song, and it’s unusually easy. But Chan Marshall manages to retrieve the inner velvet-y spirit of the tune: she treats ‘I Found A Reason’ like a brooding confession, unclosing an unexpected grace in the middle of the song – so naked it’s almost brutal. Even though Big Star never reached the level of mainstream “posthumous” recognition The Velvet Underground have been granted in recent decades – well, they haven’t got it yet, music lovers’ hope dies hard! – it could be argued that nobody could understand The Velvet Underground as well as Big Star. Or that nobody could sing a 1967 Lou Reed composition as well as Third-era Alex Chilton. So much so that every time you listen to Third you probably end up forgetting that ‘Femme Fatale’ is a cover, and that Nico’s commanding voice used to be where Alex Chilton’s bleeding contemplation now is. And if you need one more entry for your endless “Reasons why Big Star were ahead of their time” list, here it is: it was ’74 and Alex Chilton and Jody Stephens were in the studio in Memphis, already covering The Velvet Underground.